A lot of times iOS users have forgotten their Apple ID and newbie users have a lot of confusion about Apple ID recovery. One of the most common questions that come from you is, "How do I find my Apple ID?" 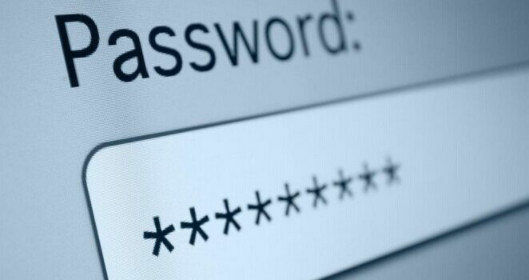 If you are reading this article then you have come to the right place to learn how to recover Apple ID password. Here, you will get to learn how to recover your Apple ID in the best 2 ways. So don't worry if you don't have any knowledge on how to get your Apple ID, just follow this article till the end. Part 3: How to Recover Forgotten iTunes Backup Password? In this part you will get to learn about 3 different ways to recover Apple ID password with devices. It's really easy and simple. 1. Go to "Settings" and then go to "Accounts & passwords". If you are using iOS 10.3 or earlier then you need to go to "Mail, Contacts, Calendars" option from the "Settings" menu. 2. You can also go to "Settings" and then go to the "Messages" option. Now check on the "Send & Receive" option. 3. You can also check your Apple ID from "Facetime". Just go to "Facetime" from the "Settings" menu. 1. From the "Apple menu" of your Mac, go to "System Preferences" and then click on "iCloud" to find your Apple ID. 2. Another option is iTunes. Go to "iTunes", click on "Account" and then "View My Account". If you have signed in using your Apple ID, you will get your account name and email address from here. 3. You can also open "App Store" and then choose the "Store" option. Now click on "View My Account". 4. Another way is iBooks. Go to iBooks and then select "Store", now click on "View My Apple ID". 5. You can also go to "Messages" and then click on "Messages" again. Now click on "Preferences" and then choose "Accounts" option for Apple ID recovery. 1. First launch iTunes and go to the "Library" to find one of your purchases. 2. Now click on "Edit" and then select "Get Info". 3. Click on the "File" tab and then select "Purchased by". Here you will be able to see the Apple ID that has been used to buy this item. 1. From any browser, go to the Apple ID account page, which is (applid.apple.com) and click on "Forgot Apple ID or password". 2. From the next page you need to click on the "Forgot Apple ID?" button. You will find it from below. 3. Now you will get a page like below image. You need to provide your first name, last name and email address here. If you provide a wrong email, you can provide it again. Now click on "Continue". 4. On the next page you need to select how you want to receive your Apple ID password. You can either select "Get an email" to recover Apple ID password with your email address or you can choose "Answer security questions" to get your Apple ID password using security question. Forgotten your iTunes backup password? I strongly suggest you to use Tenorshare 4uKey - iTunes Backup. This amazing software can recover forgotten iTunes backup password quickly and without any problem. It has advanced algorithms system that will give you a 100% perfect decryption rate safely. Also this tool is fully compatible with all versions of iTunes including iTunes 12.7 version. 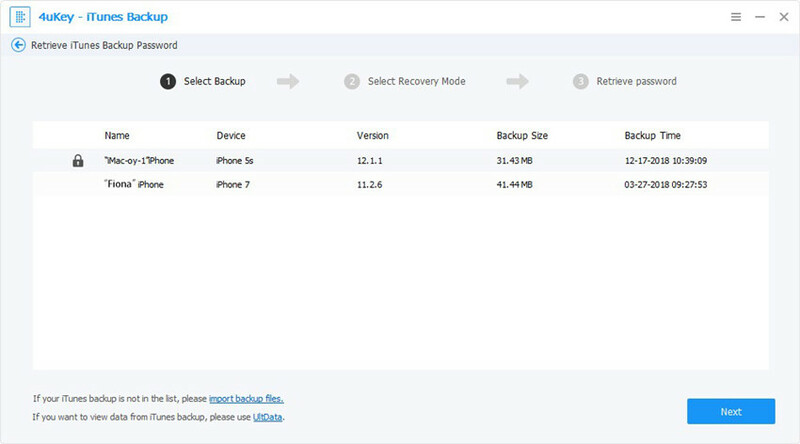 It will use 3 effective methods iTunes backup which is very flexible. It will use Brute – force Attack, Brute – force with Mask Attack and Dictionary Attack to save your time and recover your iTunes backup password. It supports various devices like iPhone X, iPhone 8/8 Plus, iPhone 7/7 Plus, iPhone SE, iPhone 6s/6s Plus/6/6 Plus, iPhone 5s. It also supports Windows 10, Windows 8.1/8, Windows 7, macOS X 10.8 and above. After reading this article, you know that your - "how to recover Apple ID?" and "how to recover forgotten iTunes backup password?" questions are answered thoroughly. You have learnt the best ways to recover Apple ID with and without devices so you won't be facing any problem in this issue again. Moreover, it's really easy and simple to recover your forgotten iTunes backup password by using Tenorshare iBackup Unlocker. This tool more useful than anything else you will find on the internet, to solve iTunes backup password issue. So just relax and use the information from this article to solve your problem. Forgot iTunes Password for iPad, How to Do?